Whew! Ok, Kyoto, I knew you were going to be a beast, but as I’ve been going back through pictures I really realized how much there is to cover. I thought this was going to be a 2-Part guide, and I suppose if you’re an overachiever or just pressed for time, you can cram all of these sites in to two days. If you want to not push yourself and spare your feet a brutal beating, however, I’d split it up in to 3. Definitely take advantage of your hotel’s onsen* (hot spring bath) if they have one! 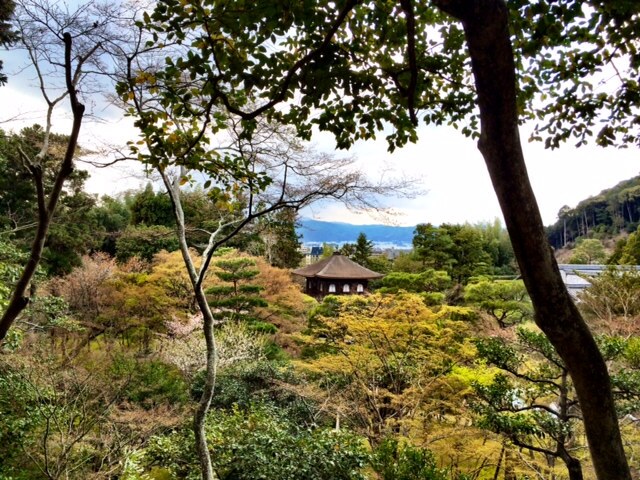 So here we go – part 2 of my Kyoto Travel Guide! For your second day of exploring, you’re going to head up to the North Eastern part of the city. I start this route from Keage Station, which is accessible on the Tozai Line. When you exit the station, head down hill and then look for a grassy park area. Follow the crowds – in this case they’ll lead you in the right direction. 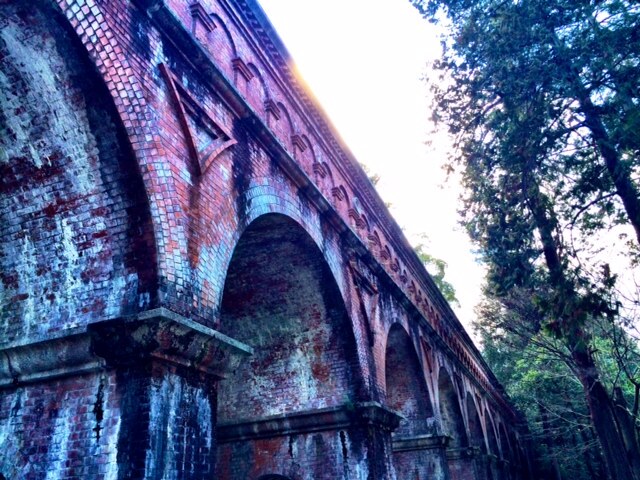 Old train tracks near the exit of Keage Station. 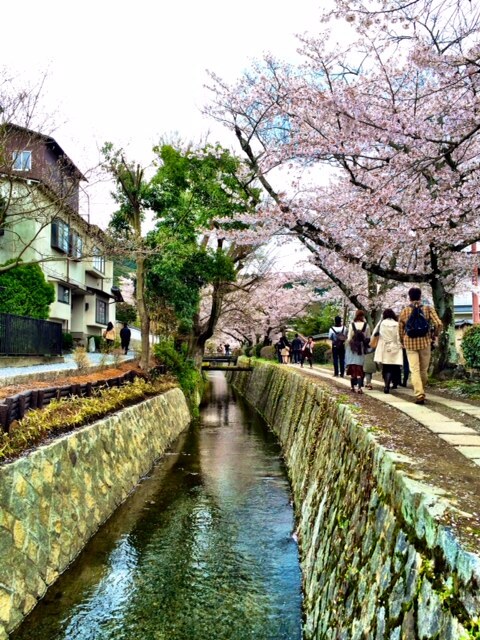 I was lucky enough to be in Kyoto for cherry blossom season, and this was a gorgeous spot to take photos. You’ll want to start your walk from this area. If you head down a bit you’ll see a path that leads off to the right. 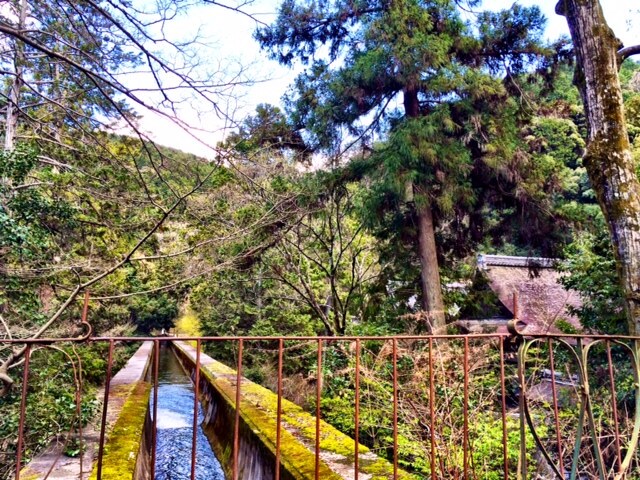 Follow that path along the top of an aqueduct and meander your way over to the many temples in the area. If you see these pipes, you’re heading the right way. 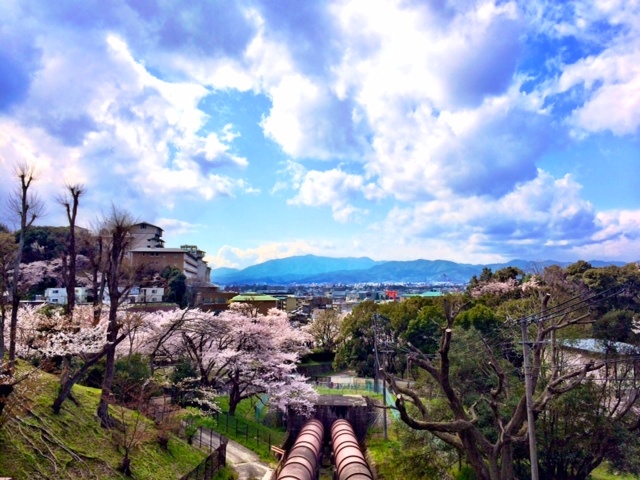 Bonus of a gorgeous view of Kyoto laid out below you. Just keep following the aqueduct! You’ll really feel like you’re in another world in this area. Giant pine trees and shrines surround on every where you look. I’m a huge fan of the brilliantly green moss that seems to cover everything. Follow small forest paths to discover places others may not stumble upon. There are many pathways to take, but don’t worry, you won’t get lost. Make sure you look up. The detailing on temples and shrines is true artistic mastery. 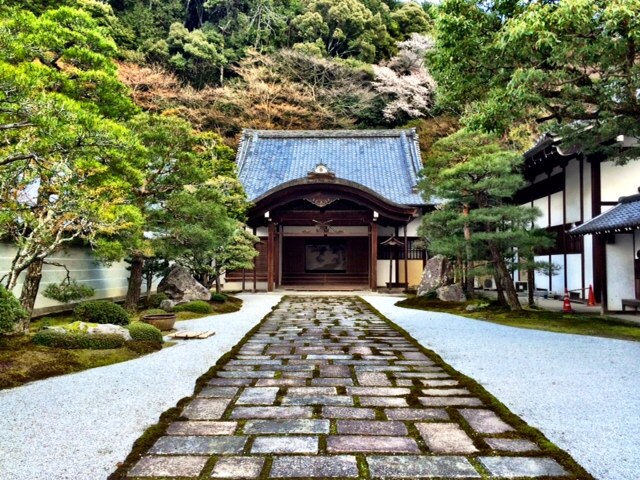 The path will lead you to Nanzen-ji. Just follow the wooden signposts if you’ve gotten lost at all. 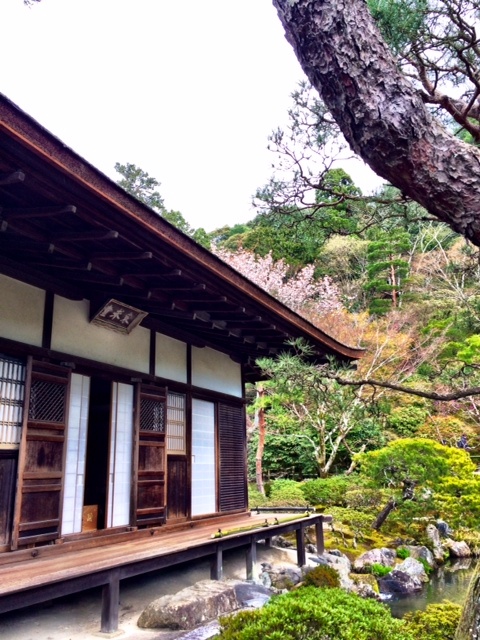 The architecture on the grounds of Nanzen-ji, to me, looks half ancient Rome, half ancient Japan. Everything is covered in moss and is absolutely otherworldly. 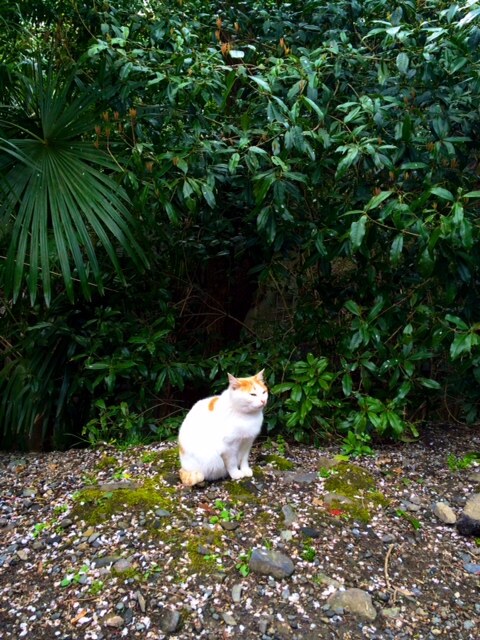 Keep your eyes open for temple cats! I always seem to stumble upon at least one while visiting a temple or shrine. Hopefully they’re good luck! 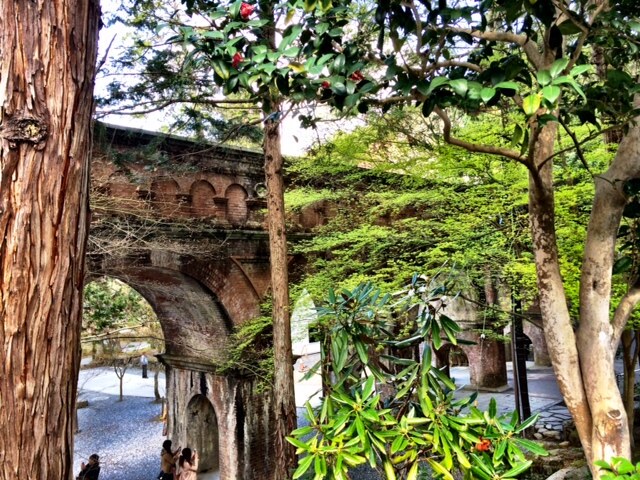 More of the beautiful arches at Nanzen-ji. 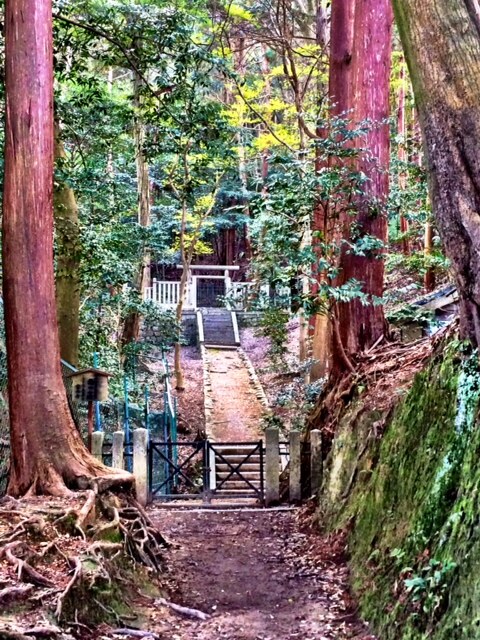 Keep following the path North out of the wooded area and you’ll run in to another temple, Eikan-do. Eikan-do is known for its fall colors, so if you happen to be there during late October/November, be sure to stop in to see the beautiful changing leaves. Head North so more and you’ll end up in a residential area. There should be signage pointing you in the direction of your next destination – the Philosopher’s Path. Hang a right and walk East on the street towards Kumanonyakuoji Shrine. Once you reach the shrine, take a left and follow the creek. You’re at the beginning of the Philospher’s Path! The Philosopher’s Path is a lovely stroll that takes you along a stream. 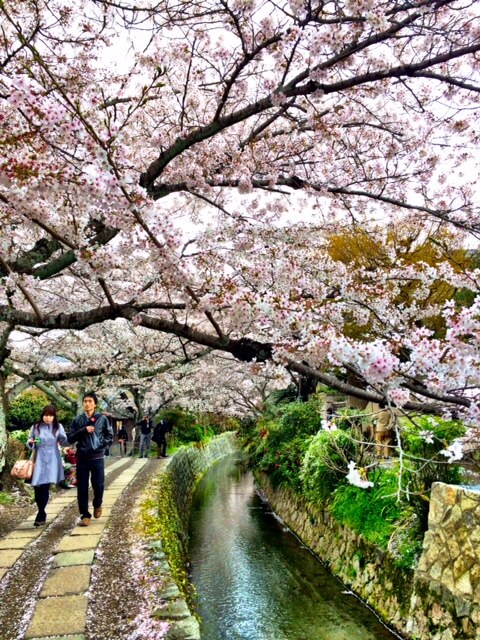 It is known for the sakura (cherry blossom) trees that line it. It’s a long route, but there is lots to see along the way. 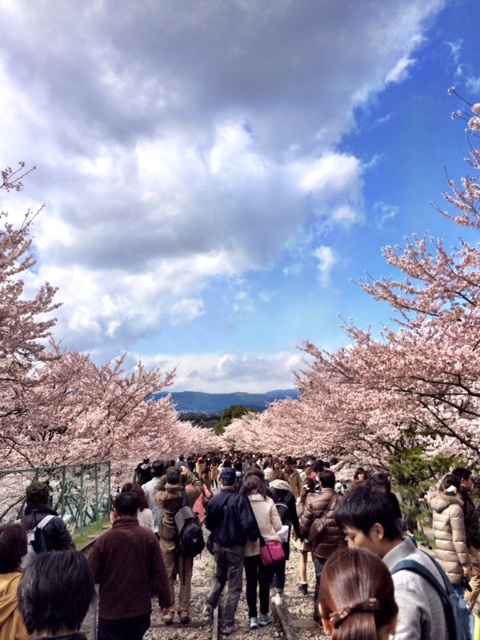 During cherry blossom season, vendors set up stands along the pathway to sell handmade goods and snacks. The path gets its name from one of Japan’s most famous philosophers, who was said to meditate while walking this path. I’d say its a bit hard to meditate there during cherry blossom season, however – it’s definitely crowded. 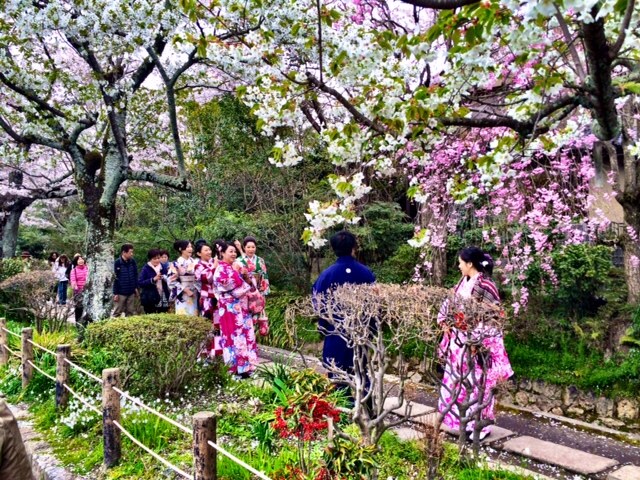 If you really want to dress up, there are multiple kimono (winter/cold weather wear) and yukata (summer/warm weather wear) rental places. Your hotel should have plenty of recommendations for rental companies if they don’t offer them. 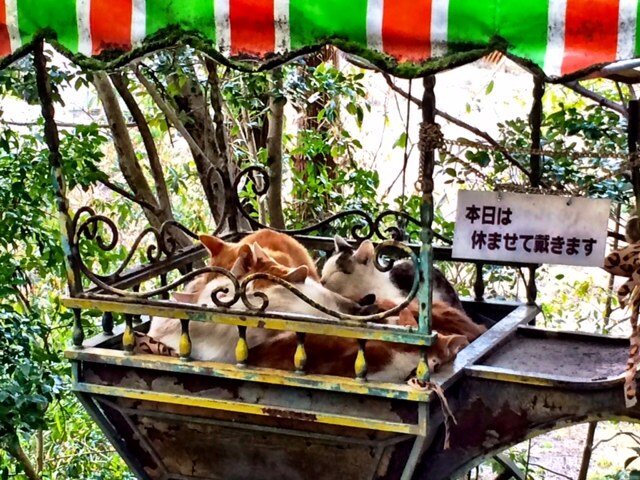 Japan loves cats. Like, really loves cats. It’s hard not to feel the same way – they’re so cute! Keep following the path and you’ll hit a dead end. 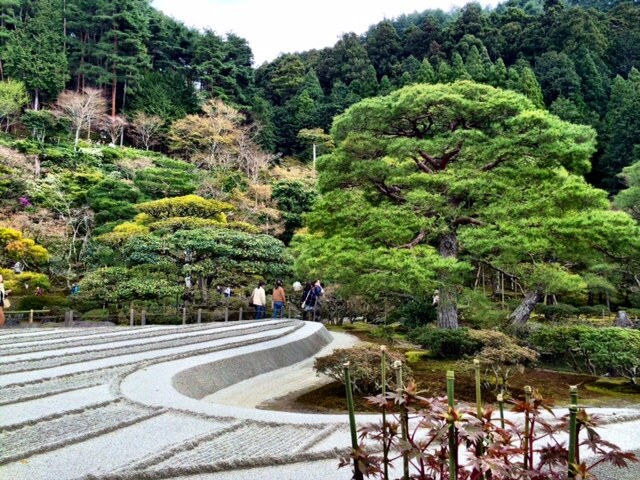 Take a right and you’ll head straight in to Ginkaku-ji – the Silver Temple! The road leading to Ginkaku-ji has lots of really cute little shops, as well as cafes selling a huge variety of matcha (green tea) flavored snacks. Matcha flavor isn’t for everything, but if you like it you absolutely have to get some matcha soft serve ice cream. It’s one of soft spots (ehhhh…get it?). 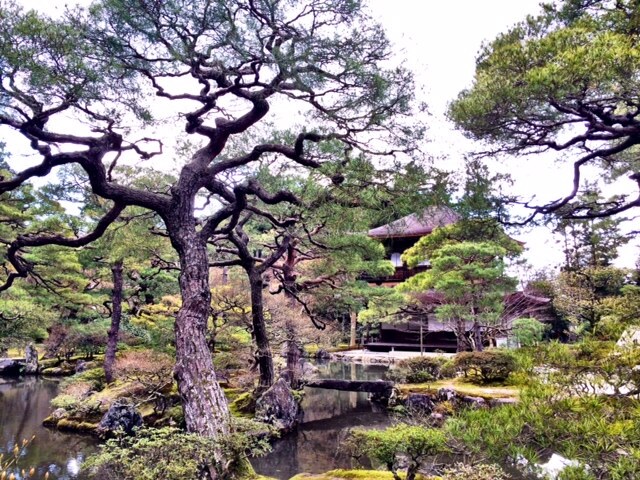 And here’s the final stop for the day – Ginkaku-ji Temple. 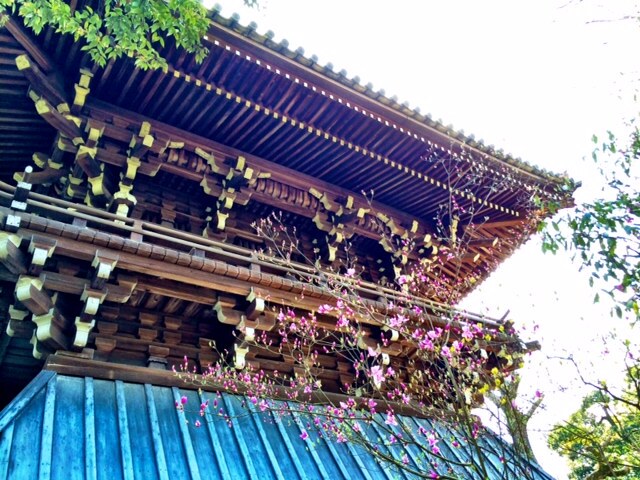 It is a former residence that was turned in to a temple. 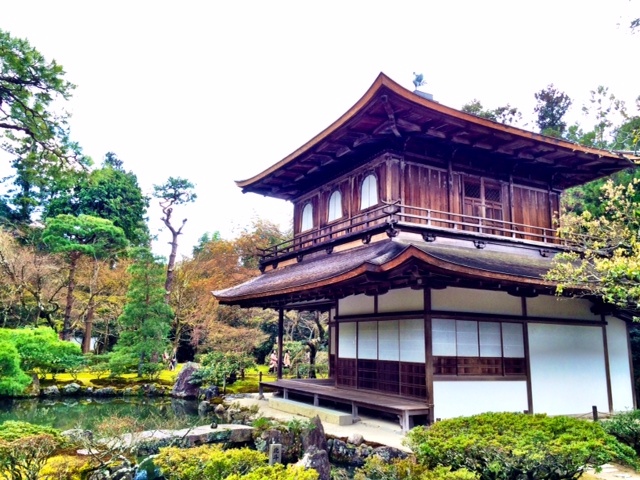 “Gin” means “silver” but unlike Kinkaku-ji (golden pavilion), it was never covered in silver. The beautiful sand gardens surrounding the Pavilion. 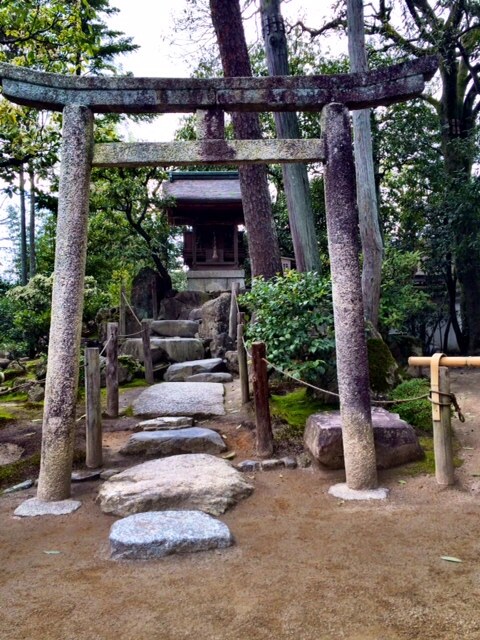 A small shrine on the grounds of Ginkaku-ji. 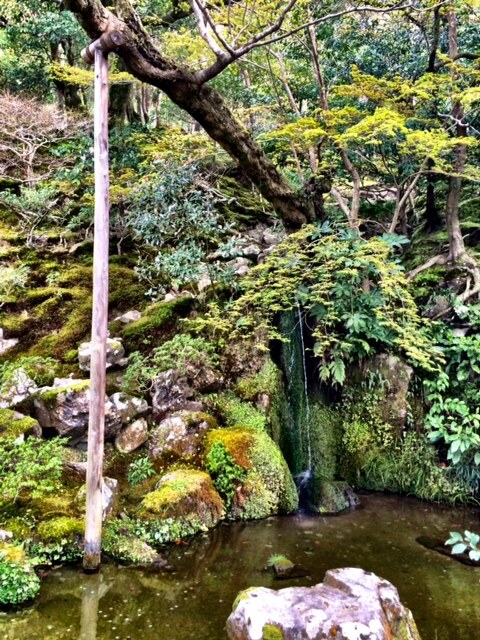 The temple is known for its beautiful moss gardens. Being a former residence, there are multiple buildings on the temple grounds. Reflecting ponds and perfectly manicured trees. Prayers and wishes are written on paper and burned at temples. I know at temples when you do the fortune telling game they have, when you get a bad fortune you tie it up so it can be burned away, but my Japanese boyfriend can’t explain to me why the good prayers and wishes are also burned. He obviously doesn’t visit temples and shrines much, haha. View from the top of the temple grounds. 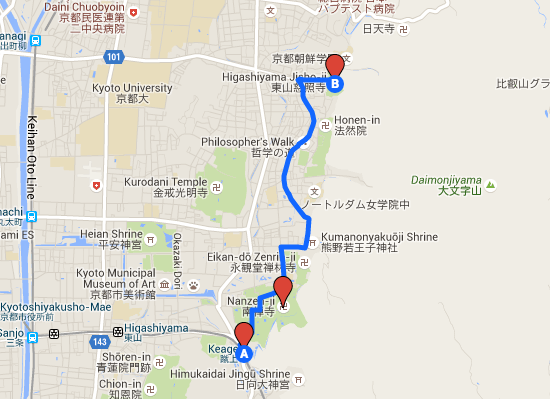 I’ve only stopped in a small handful of the temples and shrines located along this route. If you’re a temple die-hard, though, you can easily add a few hours to this day by covering everything possible. If you get hungry along your route, it’s hard to go wrong just about anywhere you’d stop for lunch. If the street vendors are out I’d suggest grabbing a bite from them! See ya in Part 3!